We create beautiful kitchens where our customers are inspired to spend quality time with their families and friends in place that has become, the “Heart of the Home.” Our customers tell us they entertain more and their family enjoys their new kitchen more than they ever expected. They also say we deliver value far in excess of the cost of the project. We are proud of that. 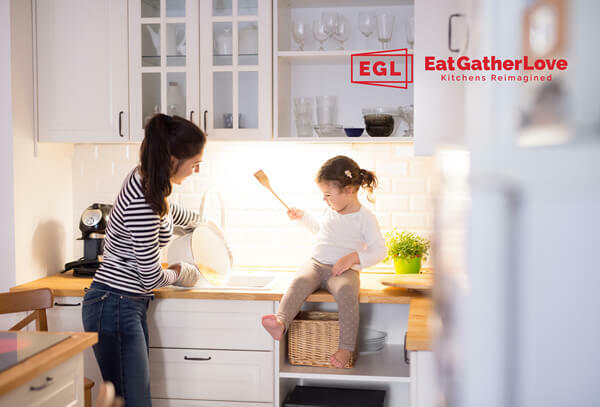 The EatGatherLove process converts a confusing and difficult selection process into an efficient and enjoyable experience for the customer. Our curated product lines offer the latest in design color and finishes from Europe and North America. Our proprietary processes and systems keep the customer informed and in control through-out the process and allow us to transform their old space into a stunning new kitchen in two to three days instead of six to eight weeks. The business model does not require construction, remodeling or cabinet manufacturing experience. 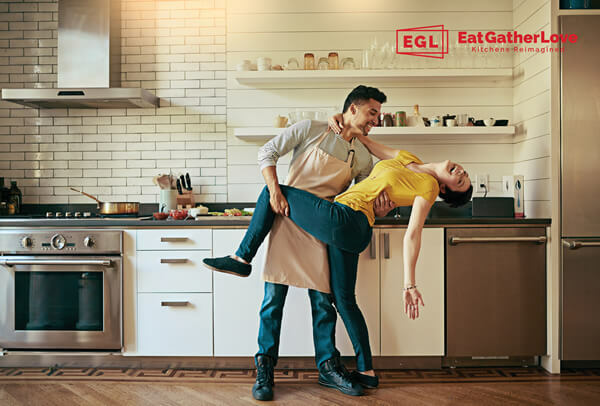 EatgatherLove is a customer centric product delivery and installation system designed to surprise and thrill its customers. For the business owner, it is an affordable opportunity to own an efficient scalable business and be part of a community of like-minded business owners expanding the EatGatherLove brand across the U.S.
EatGatherLove business owners come from diverse backgrounds and experiences but have several things in common. They desire independence and want to build wealth, they want to be part of the community they work in, they enjoy working with people and are effective leaders. 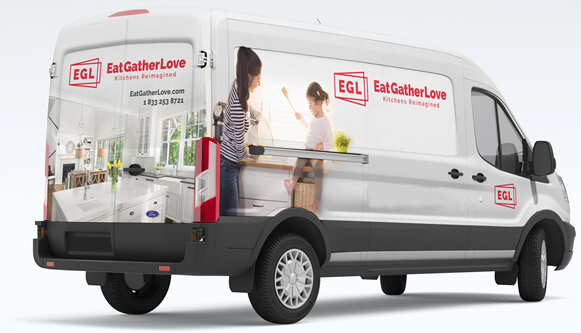 The EatGatherLove brand was born out of the Dream Doors franchise system based in New Zealand. 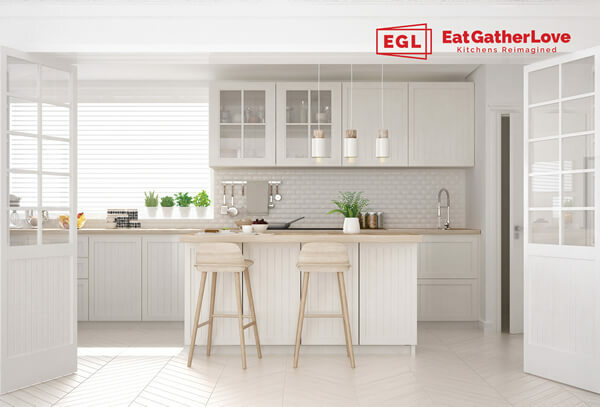 Begun in 2000 and now with over 110+ franchises throughout New Zealand, Australia and the UK, Dream Doors' proven systems are now available in the US under the EatGatherLove brand. Expansion into the U.S. is being led by the co-founder of Dream Doors who developed the brand internationally over the past 18 years. The chairman of the U.S. board of advisers is the former CEO of California Closets. 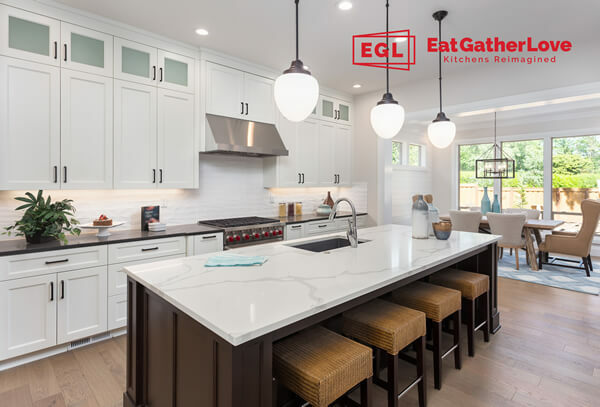 With well over 100 years of collective franchising experience, our team of international and U.S. based staff are prepared to help the right people launch their new business and provide the marketing systems, processes and controls not typically found in the kitchen remodeling space. Our proprietary software platform which manages your Google Adwords marketing and optimizes every dollar spent. While others are scratching their heads trying to compete for leads, our franchisees are engaging with qualified prospects. Our International award-winning Franchise Management System (FMS) which tracks the lead to sale, marketing expenditure and result success, job budgets, and business management reports. This exclusive software gives you and your team up-to-the-minute information about all aspects of your business. It even tracks customer satisfaction through installation to completion. Are You The Ideal Eat Gather Love Candidate? EatGatherLove business owners typically excel due to one of two main personality traits. Either they’re really good at sales, meeting new people easily, personable, etc. and they hire someone to manage the details in the business, or they're good managers who have an eye for detail and customer service but prefer to hire someone for the sales role. Regardless of the type, both must be exceptionally fast on responding to customer inquiries, scheduling appointments and customer service follow up. One of the things that sets us apart in our industry is a level of professionalism that rarely exists in the home services industry. You must have access to a minimum of $150,000. This figure includes the upfront Franchise fee of $50,000 for your exclusive territory of 500,000 people. The balance of the funding is available for operating capital. From our experience the best territories tend to sell first, so fill out the form today for more information! It could change your life!